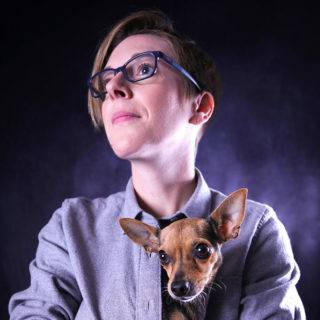 DeAnne Smith, a Canadian Comedy Award winner, has performed at Just for Laughs, JFL42, the Winnipeg Comedy Festival, Melbourne International Comedy Festival, the New Zealand International Comedy Festival, Edinburgh Fringe Festival, and the Iceland Comedy Festival to name a few. She’s also been on TV all over the darn world, including appearances on Last Comic Standing and The Late Late Show in the U.S., as well as comedy shows in Canada, Australia and the UK. Her video Straight Men, Step Your Game Up has over 46 million views. Her Netflix half-hour comedy special, Gentleman Elf, debuted January 2019. She is currently developing a sitcom for CBC.